Dropping off used car seats to be recycled. Image courtesy of Red Propeller. Did you know that it’s almost Waste Reduction Week (WRW) in Canada? To celebrate WRW the third week of October, this month’s “Take Action Burlington” posts are dedicated to what you can do to keep your old things out of the landfill. If you’re not the original owner, you may miss safety recalls. So how many car seats are we talking about? A whopping 250,000 car seats used in Ontario might end up in landfills each year! 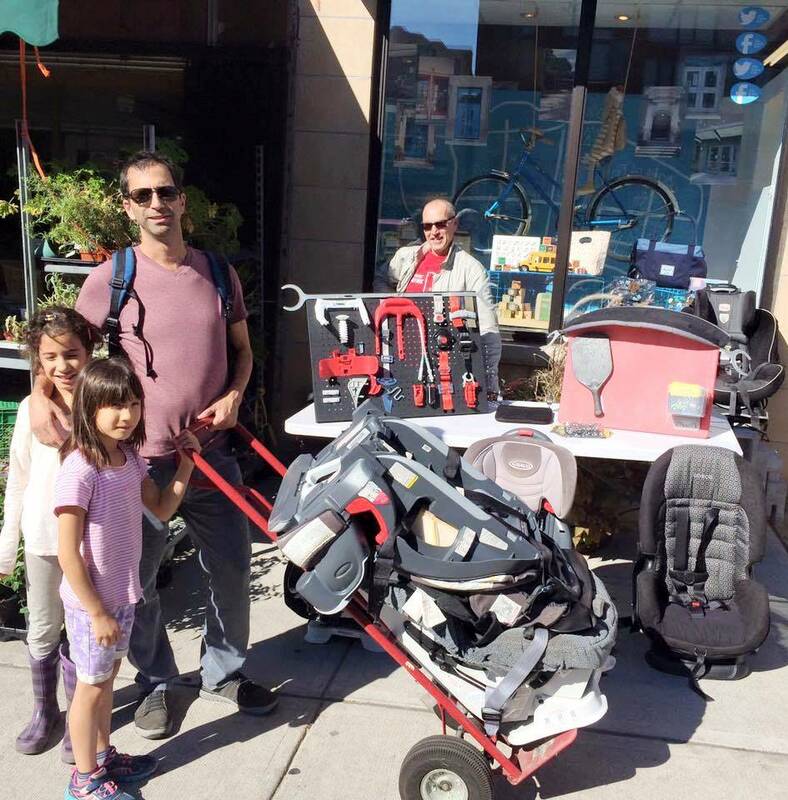 Thanks to a company called Red Propeller, you can keep your used car seat out of the landfill for a small fee. Red Propeller is a social impact recycling company that keeps unwanted recyclable material, such as child car seats, out of the landfill and employs people with physical, mental or social barriers. Drop off or mail the child car or booster seat to Red Propeller,116 Industry St., Toronto. 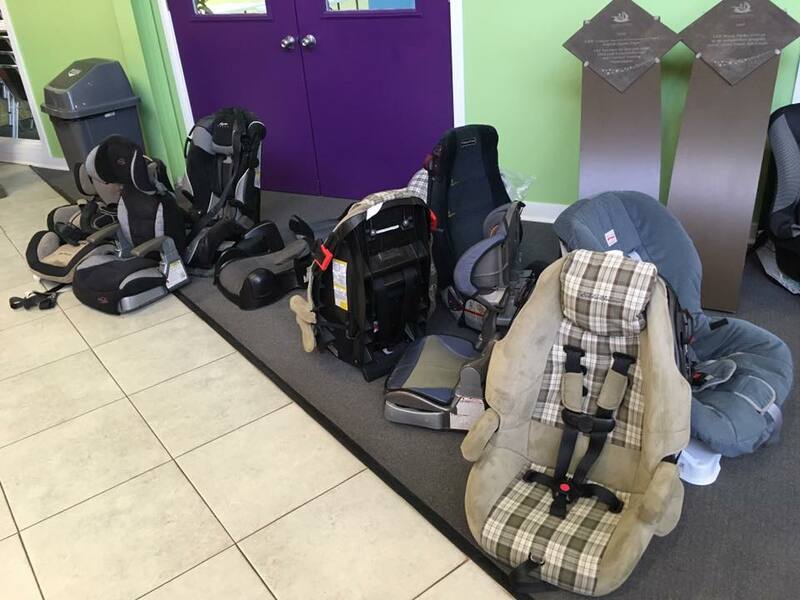 If you choose to mail the car seat, they will ask you to pre-pay for the cost of recycling – $5 for a booster seat or $13.25 for a child car seat. Print the order confirmation and include it with your boxed package. You can set up an appointment to visit Red Propeller’s facility to learn about the process first hand? If interested, please visit redpropeller.ca/car-seat-recycling. Take Action Burlington. With a little effort, we can recycle those hard to recycle items. Collectively, we can make a difference! Used car seats dropped off for recycling. Image courtesy of Red Propeller.